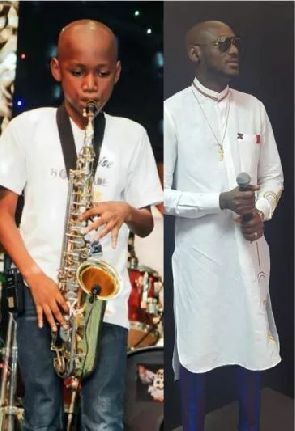 Like father like son, 2face Idibia‘s first son, Nino is keeping his music dream alive. In March 2016, for the first time ever, he made his debut stage performance at his mum’s (Sunmbo Adeoye) event in Lagos. Since then he hasn’t stopped. On October 1, 2016, he took the stage again to be part of the biggest praise party in Agege, Lagos as his mum’s church, Royalty Christian Center celebrated Nigeria’s 56th Independence with praise and worship.